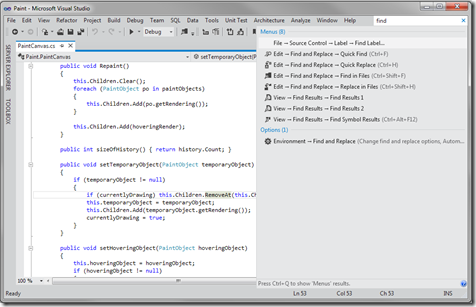 vNext – is new version of Visual Studio 2011. First article about features was created by Weston Hutchins - Program Manager, Visual Studio IDE Platform Microsoft Corporation 19 May 2011. I am going to discuss new features presented by VS2011 IDE vNext presentation in this article. 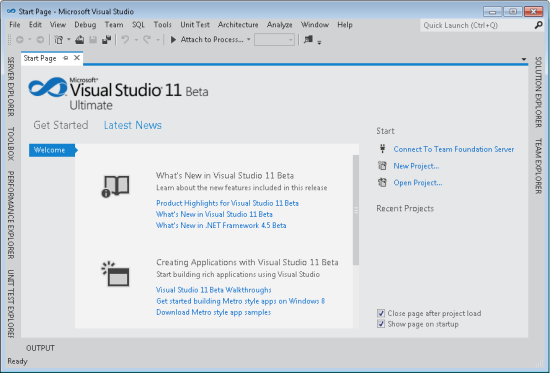 What is cool about brand new 2011 Visual Studio? 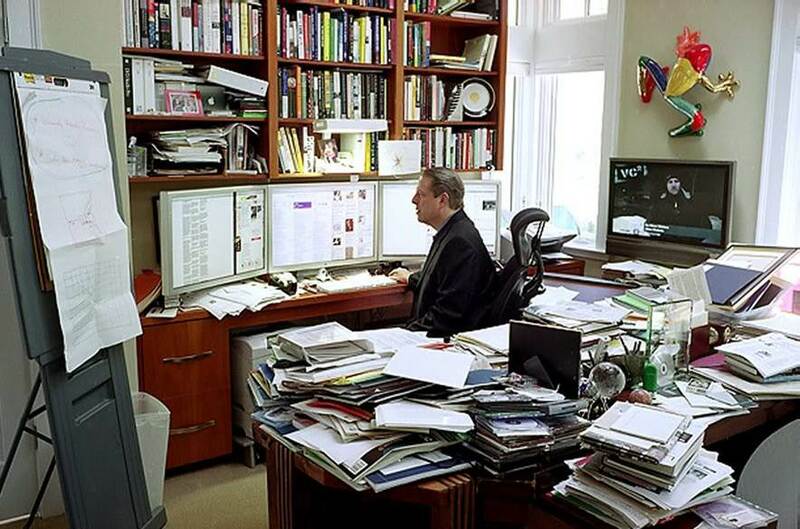 It is more organized, clean, nice look and feel. If you with VS 2011 it can save a lot of time, it is busy a lot of toolbars and buttons, especially in debugging. You can do each thing in different ways. For example search and replace changed from Find and Replace -> Find symbols -> Navigate to, few examples how to do same thing in new VS 2011 in demo from channel 9 below. Challenge for vNext release is simpler (reducing amount of buttons, setting UI to concentrate on your code) + faster (overall responsiveness, long running operations, memory utilization and better feedback / telemetry) = more productive. Project is fully supported between 2011 and 2010 solution projects. Pretty cool new Search IDE feature. New Project, Add Class dialog in few seconds with quick access. Multiple monitors improvements, preview tabs for debugging and editing files, solution explorer improvements. Toolbox, team explorer, IDE search, error list and solution explorer search and filtering capabilities, new reference dialog and lot more features.Also very fast build feature on parallel multiple processes, memory usage is very small and performance improvements should be very supporting for all projects. Unfortunately, it’s also been difficult historically for developers to write asynchronous apps, due to the myriad of callbacks that have been necessary to program asynchrony successfully. Thus, businesses scale by investing in many more machines rather than by making better use of the ones they already have or the few they’re paying for use of in the cloud. All that changes with the next release of Visual Studio and .NET. New features in managed languages make writing asynchronous code as simple as writing synchronous code, thereby enabling both developer productivity. Be great if you could have a popup search window for the search box for any commands. that way you can press say shift-~ and immediately focus where the mouse is then enter command and press enter to move on rather than focus up top right corner. Code Experience/Understanding: Improved Solution Explorer, Search, Smart Rename, Collapse All, Multiple Instances, Integration of Class View/Object Browser/Find References, View types and members in a file (C#/VB/C++), Explore code relationships (calls, called by, used by, base/derived types), VB Call Hierarchy, Streamlined toolbars, Floating Tab Wells, Aero-peak taskbar preview support, Minimize to taskbar, Preview Tab, Single-click preview in Solution Explorer, Find in Files, Find Symbol Results, and more. 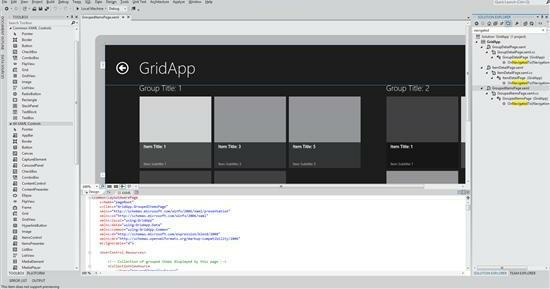 New Visual Studio vNext HTML Editor Smart Tasks and Event Handler Generation. Through reductions in toolbar command placements, line work, iconography, and color usage Visual Studio 11 manages to simultaneously devote more space to your content while at the same time engendering the impression that VS feels lighter and less complex. Furthermore, by integrating search in a more contextual manner throughout Visual Studio 11 and by emphasizing flow inducing interaction techniques such as keyboard invocation and navigation we’ve better enabled you to bypass complexity while fostering rather than disrupting your workflow. Also very nice features: Pinned Tabs, Simplified Navigate Back/Forward, Streamlined Quick Find/Replace, Search in Solution Explorer, Toolbox, Error List, Team Explorer. Reusable search control, Scope Error List to “Open Documents”, “Current Project”, or “Current Document”, IDE Search (searches menus, open documents, options). New Add Reference Dialog. NET 4.5 has focused on our top developer requests. Across ASP.NET, the BCL, MEF, WCF, WPF, Windows Workflow, and other key technologies, we’ve listened to developers and added functionality in .NET 4.5. Important examples include state machine support in Windows Workflow, and improved support for SQL Server and Windows Azure in ADO.NET. ASP.NET has increased investments in HTML5, CSS3, device detection, page optimization, and the NuGet package system, as well as introduces new functionality with MVC4. In VS 11 we thoughtfully, based on user instrumentation data, but aggressively reduced toolbar command placements throughout the product by an average of 35%.When you open Visual Studio 11 for the first time you’ll notice that there are far fewer toolbar commands displayed by default. These commands haven’t been removed completely; we’ve just removed the toolbar placements for these commands. For example, the cut, copy and paste toolbar commands have been removed since we know from our instrumentation data that the majority of developers use the keyboard shortcuts for these commands. So, rather than have them take up space in the UI, we removed them from the toolbar. 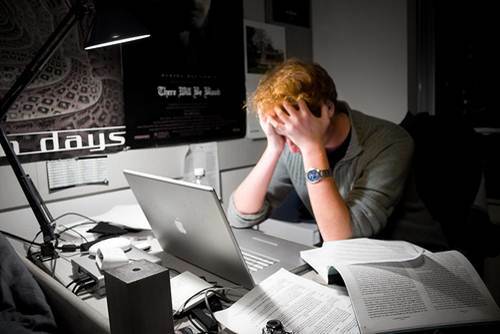 We know that developers often spend more of their time than they would like orienting themselves to the project and tools they are working with and, in some cases, only about 15% of their time actually writing new code. Obviously you need to spend some time orienting yourself to your code and tools, but wouldn’t it be good to spend more time adding new value to your applications? In Visual Studio 11 we’ve focused on giving you back more time by streamlining your development experience. Through thoughtful reduction in user interface complexity, and by the introduction of new experience patterns that simplify common workflows, we’ve targeted what we observed to be three major hurdles to developer efficiency. However, developers lost track of relevant code as these interfaces were used for other tasks, and developers were forced to find it again. These issues caused developers to spend, on average, 35 percent of their time performing the mechanics of navigation within and between source files. These observations suggest a new model of program understanding grounded in theories of information foraging and suggest ideas for tools that help developers seek, relate, and collect information in a more effective and explicit manner. 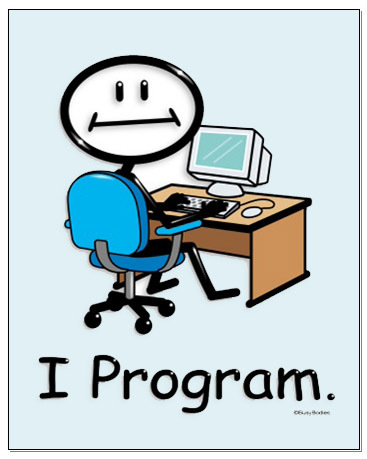 Index Terms—Program investigation, program understanding, program comprehension, empirical software engineering, information foraging, information scent. VS 2011 prevent this with new search features and help developers be more efficient. Presentation from atlanta from Weston Hutchins - Program Manager, Visual Studio IDE Platform Microsoft Corporation 19 May 201: DEV326.pptx (3.73 mb) Be one of the first to get a sneak peek at the new IDE features planned for the next version of Visual Studio! At this session, see how we’ve improved the Visual Studio developer experience -- streamlining the common tasks, simplifying the environment and allowing you to focus on the code that matters. vNext looks pretty good, some nice improvements there, what do you think? 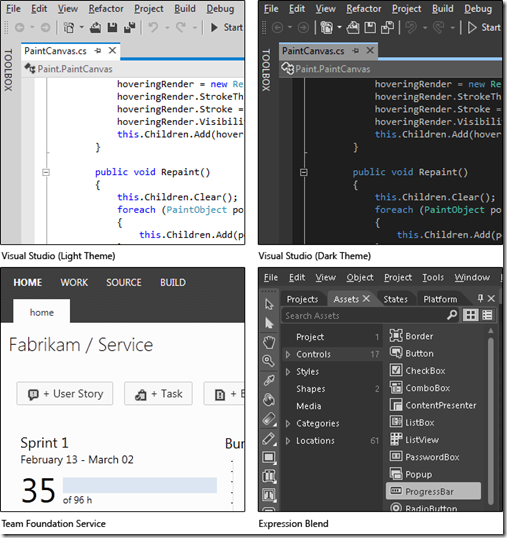 what the main difference between 2011 and 2011 visual studio... please explain.. Visual Studio 11 provides an integrated development experience that spans the entire lifecycle of software creation from architecture to code creation, testing and beyond. This release adds support for Windows 8 and HTML 5, enabling you to target platforms across devices, services and the cloud. Integration with Team Foundation Server enables the entire team to collaborate throughout the development cycle to create quality applications.